Eighteen young adults (9 women, 9 men) (age 24 ± 3 years, BMI of 22.67 kg/m2, V′O2max 32.89 ml/kg/min) were randomly assigned to either a high intensity interval training group (n = 8) or a peripheral heart action training (PHA) group (n = 10). Before and after training, maximal whole-body muscular strength, time series of beat-to-beat intervals for heart rate variability, and baroreflex sensitivity were recorded. Arterial baroreflex sensitivity and heart rate variability were estimated on both time and frequency domains. Physical fitness level was evaluated with maximum oxygen consumption test. 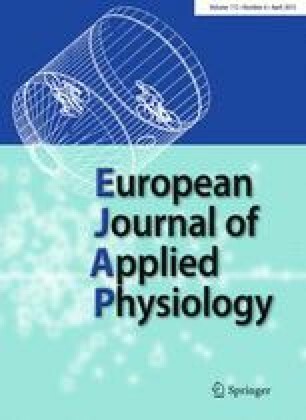 The effects of PHA whole-body resistance training increased muscular strength and maximum oxygen consumption, with an effect on vagal–cardiac control and cardiovagal baroreflex sensitivity.